If you pay your credit card bill late, you face a penalty fee from your credit card company and potentially an interest rate hike. Even more troubling, your credit score suffers, which could limit your ability to qualify for the best credit card rates. But all is not lost. You can soften the blow of a late payment history on your credit score by getting current on your bills as soon as possible. And under the new federal credit card regulations, your credit card company must terminate the penalty rate increase after six months if you've made all the minimum monthly payments on time during that period. Here's a look at the impact of late payments and how to turn things around. Your payment history is the biggest factor in your FICO credit score, the most commonly used credit rating. Usually credit card companies report late payments in one of several categories -- 30 days, 60 days, 90 days, 120 days, or 150 days late. The longer the payment is overdue and the more frequently you've been late, the worse the impact is on your score. The number of points lost depends on the individual. Generally people with high credit scores have more to lose than people with low credit scores. According to a theoretical example from FICO, a person with a score of 780 would lose 90 to 110 points from a 30-day delinquency, while a consumer with a score of 680 would lose 60 to 80 points. But paying a bill late is better than not paying at all. You can't get the account current after it's turned over to collections or charged off as a loss, so don't let things go that far. Act now. 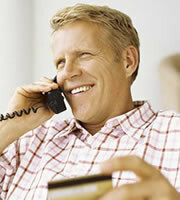 If you think you might be late or are already overdue, call your credit card company to work something out. You can recover from a late payment if you get caught up and stay current on your bills. Although a late payment stays on your credit report for seven years, the impact lessens over time. A late payment made two years ago hurts you much less than a late payment made two months ago. Clearly, one late payment is one too many. But if you're already behind, address the mistake now to avoid calls from collection agencies later. 0 Responses to "How late credit card payments hurt your credit score"